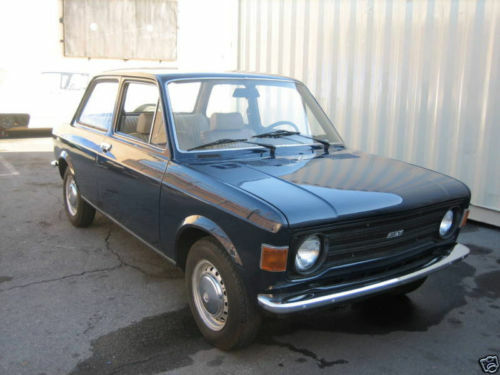 I wrote about this Fiat 128 back in January. At the time it was in Los Angeles. It somehow made its way to Philadelphia and is back on eBay. I can't imagine that there is much money to be made in flipping old Fiats, but that's apparently what's being done here. With so few of these cars left in the world, it's great to see one in this condition. Let's hope the next owner keeps it, drives it and enjoys it. Click here to see my original post about this car. Now located in Philadelphia, PA, click here to see the eBay listing. 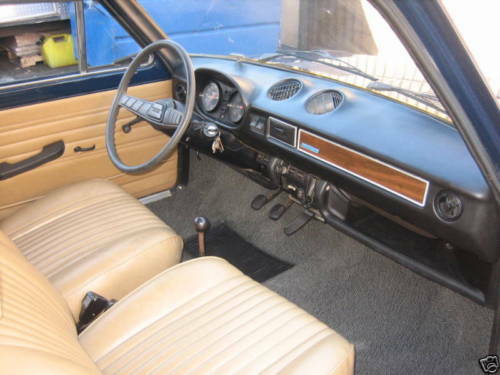 The "ultimate" (in my eyes, at least) Fiat 128 is the 128 3P. I can't remember when the last time was that I saw one. Chris over at Rusty But Trusty found one recently. See his post here. Unfortunately part of the appeal of the US models is the fascinating rare bits on the cars sent over here. Chrome bumpered cars are a dime a dozen, but there can't be more than 4 big-bumpered 128s anywhere! I like the shape, but to me, 2 doors scream, "I'm cheap"! They should have made it a hatchback like Zastava!